"Up from the grave He arose. With a mighty triumph o'er His foes. He arose a victor from the dark domain. And He lives forever with His saints to reign. He arose! He arose! Hallelujah! 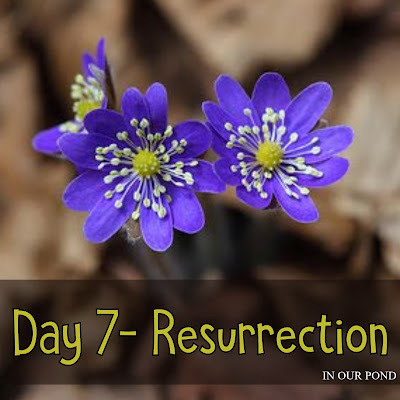 Christ arose!" We began the day with a reading for the "Easter Story" from the Jesus Storybook Bible, which is called "God's Wonderful Surprise." Afterwards, we talked about how this day is different from all other days and passed out bags of candy to them (instead of baskets). At church, we continued the "strange day" by beginning with breakfast before the service started. 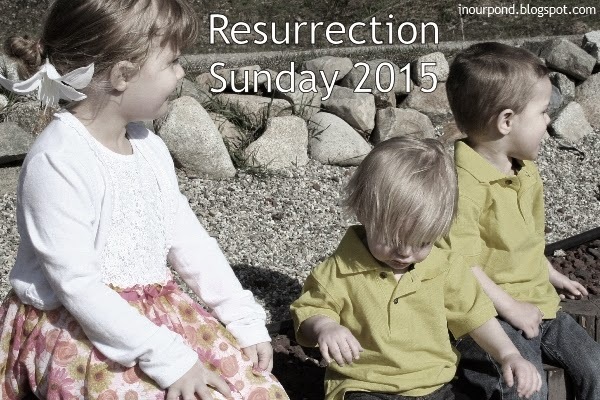 During the service, the kids sang three songs about the resurrection, which was special as well. This post is the last one in my "Behold the Lamb" series. I'm off now to knit a pink ballet sweater.